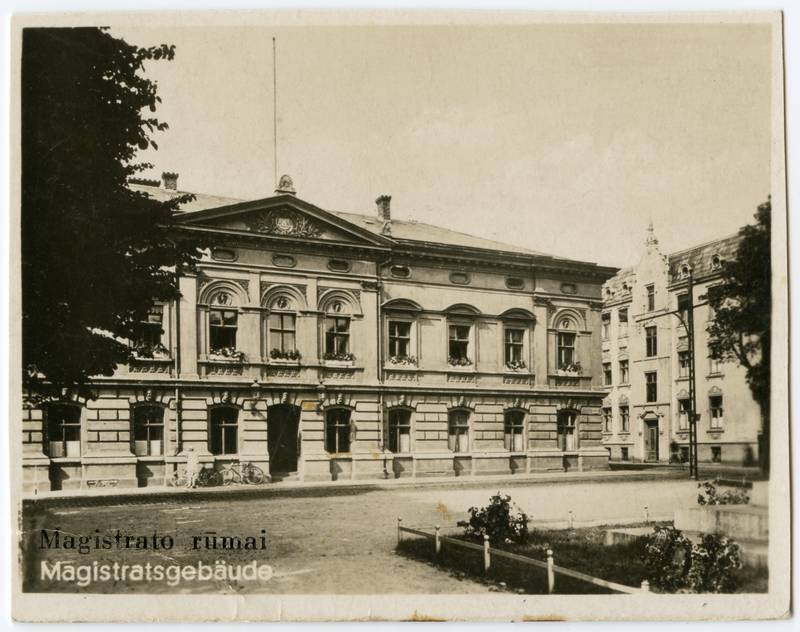 Klaipėda Town Hall was established in this building on Danės street 17 (former Luisenstrasse 4) in 1846. In 1254 Klaipėda was granted self-government, but for centuries the city was not able to build a town hall. In the 16th century, when Klaipėda experienced the first economic boom, the magistrate asked the government to allow to build a brick hall. 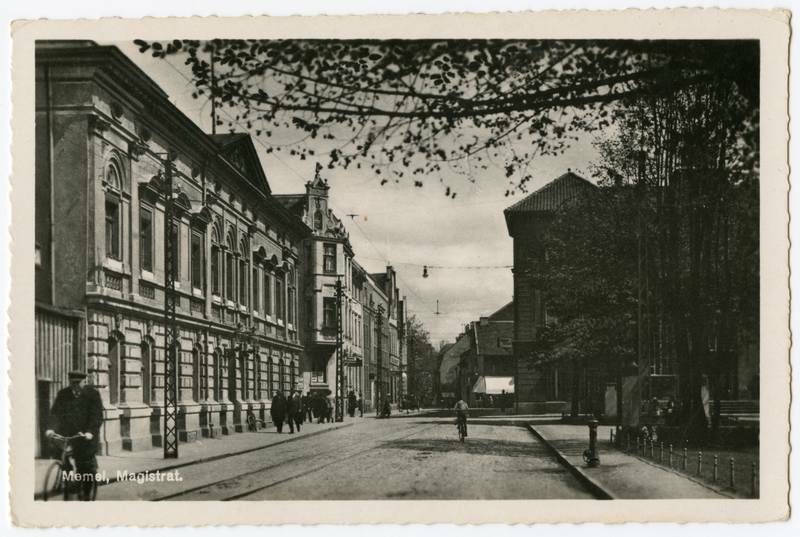 The Town Hall was built at the intersection of arterial Turgaus and Tiltų streets, but later, in the second half of the 17th century, it is believed, it burnt away. 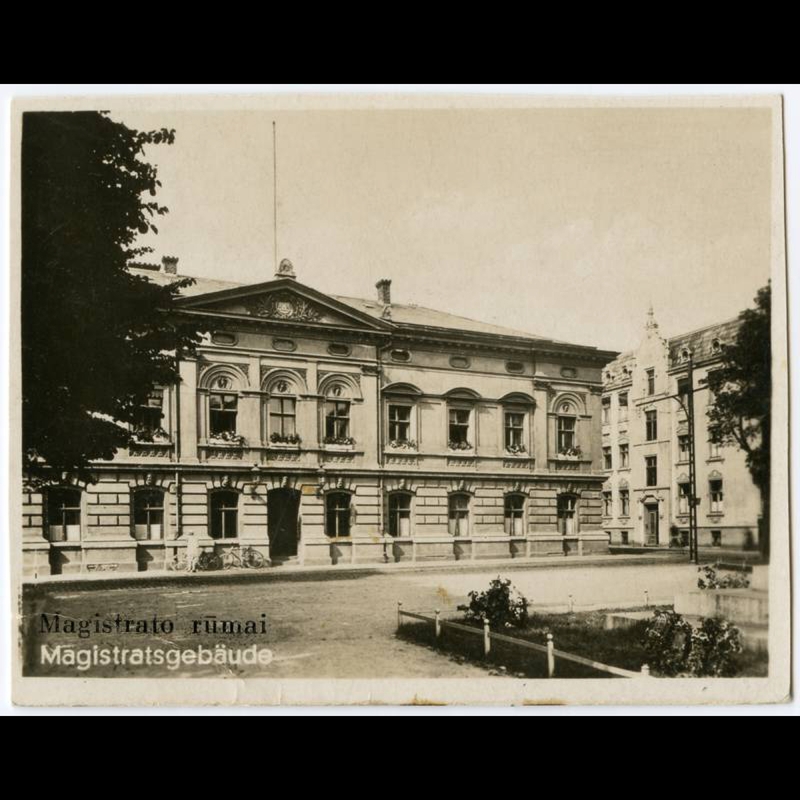 After the Town Hall burnt or vanished, the magistrate bought a wealthy merchant house in Tiltų street and applied it for the City Hall. Here it is noted in city plan of 1770. In 1769 the merchants promised magistrate to build a new City Hall, but failed to keep the promise. 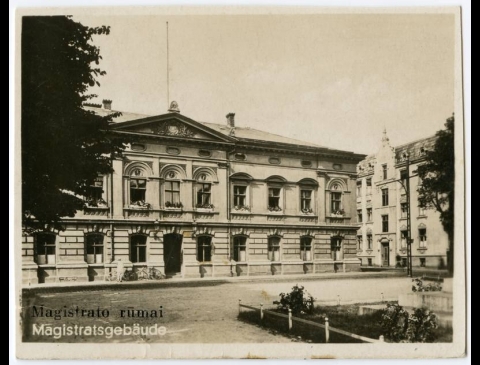 The City Hall located in Tiltų street till the beginning of 19th century. The difficult financial situation has improved in the second half of the 19th century, when the wealthy merchants wrote a considerable sum of monet to the city. 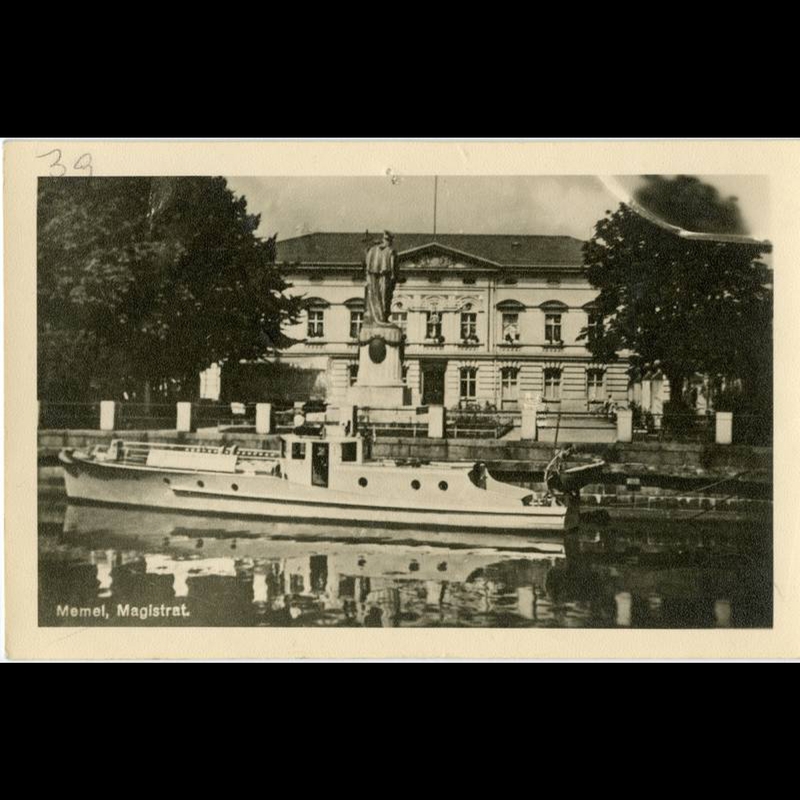 On 26 June 1845 city magistrate for 13 000 thalers bought a residential house, which at first belonged to Danish consul in Klaipėda, famous merchant Lorck, further - to his son-in-law Fr. Consentius. In 1846 the City Hall was established here. 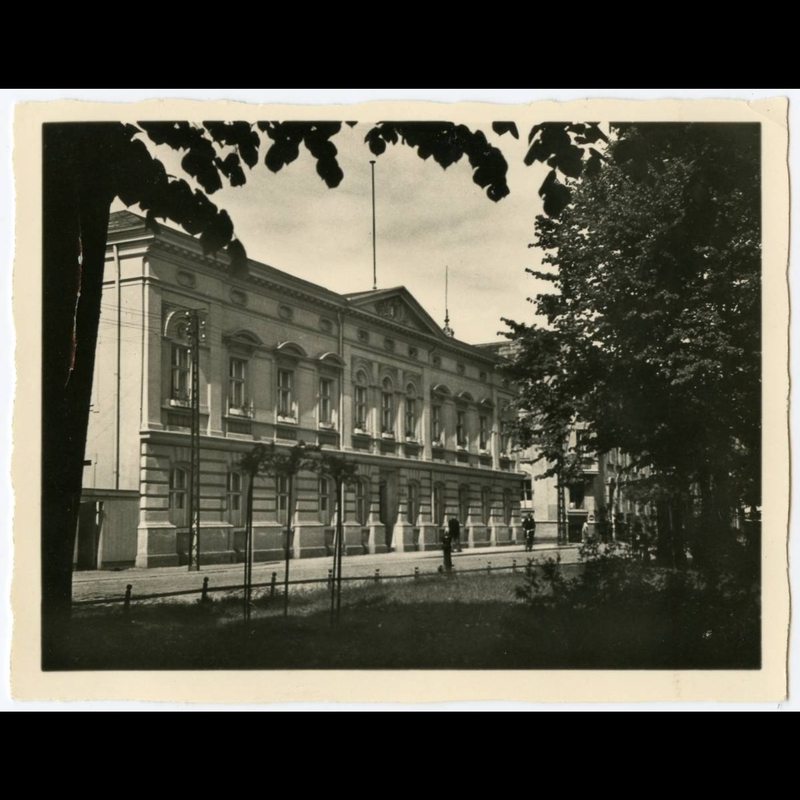 It was a historical building, in which during the Napoleon wars 1807-1808 King of Prussia, Friedrich Wilhelm III with his wife Queen Louise took up their residence. There were the documents prepared: October edict, declaring the abolition of serfage, City regulations, and so on. Here the Queen Louise has written quite a few letters, which were issued by the Director of the former Louise Gymnasium dr. Edward Küsel. The building had two floors, was decorated with modelling. As in the great fire of 1854 all the city clocks burned, it was considered to mount a clock above the city hall, but due to lack of funds this idea was rejected. Instead of the City Hall the clock has been uploaded to the nearby built firehouse tower. Lorck‘s building, which has survived during 1854 fire, in 1875-1877 was reconstructed and rebuilt in Neo-Renaissance style, while the facade was decorated with heraldic signs, other symbols: Coat of arms of Klaipėda, Prussian eagles, and above the first floor window – with masks. Project of external reconstruction was prepared by a local architect, whereas a counselor of construction was Cornelius. 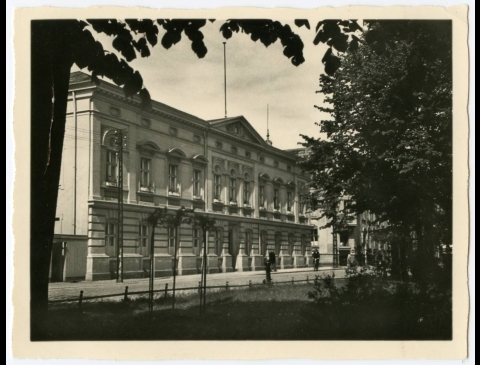 The interior of the City Hall was reconstructed according to the project of Klaipėda County architect Meyer. This building also hosted the Parliament (Ger. Landtag) of Klaipėda region. 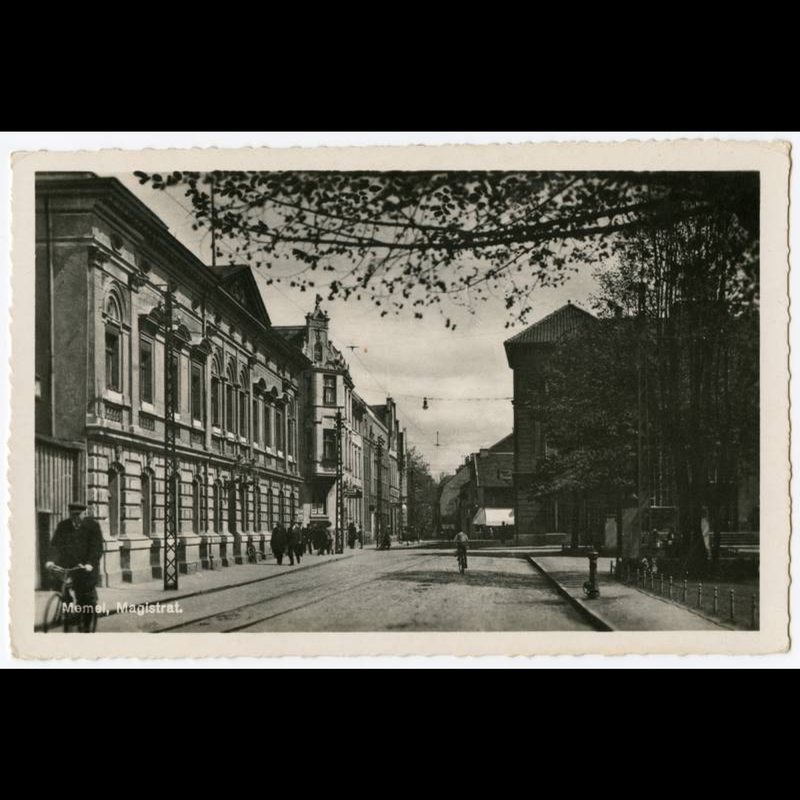 According to the convention of Klaipėda, it was a local law-making body and its members used to be elected by the residents of Klaipėda region every three years. The competence of the Parliament included civil, punitive, agricultural, forest, trade-related laws, also religious, educational and healthcare issues, social care and labour relations, courts, public finances and property of the region, protection of the minorities, etc. The 29-mandate Parliament was elected six times: in 1925, 1927, 1930, 1932, 1935 and 1938. The chairmen of the Small Parliament were Joseph Kraus (1925–1927), Konrad von Dressler (1927-1935) and August Baldžius (1935-1938). 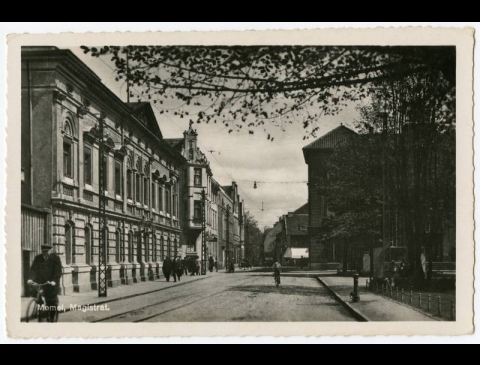 In 1925–1936 the administration of the Parliament of Klaipėda region employed the writer Ieva Simonaitytė. 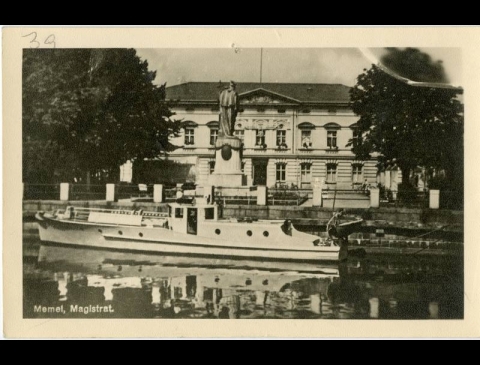 In a square in front of the Town Hall, near Danė river there was a monument Borussia, built in 1907 and demolished in 1923. 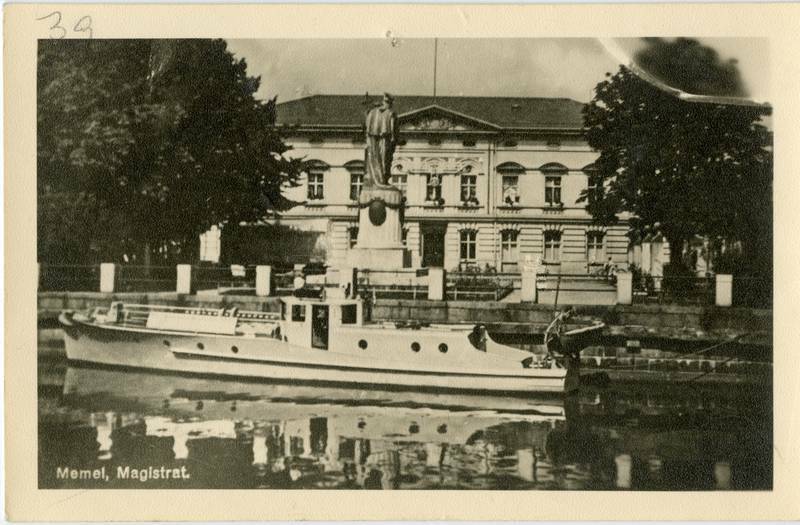 Currently there is a statue of the Žvejas (Fisherman).